Send fresh purple orchids to brighten anyone's day! This modern orchid plant proudly displays purple hues that bring vibrancy and life to any room or office space. 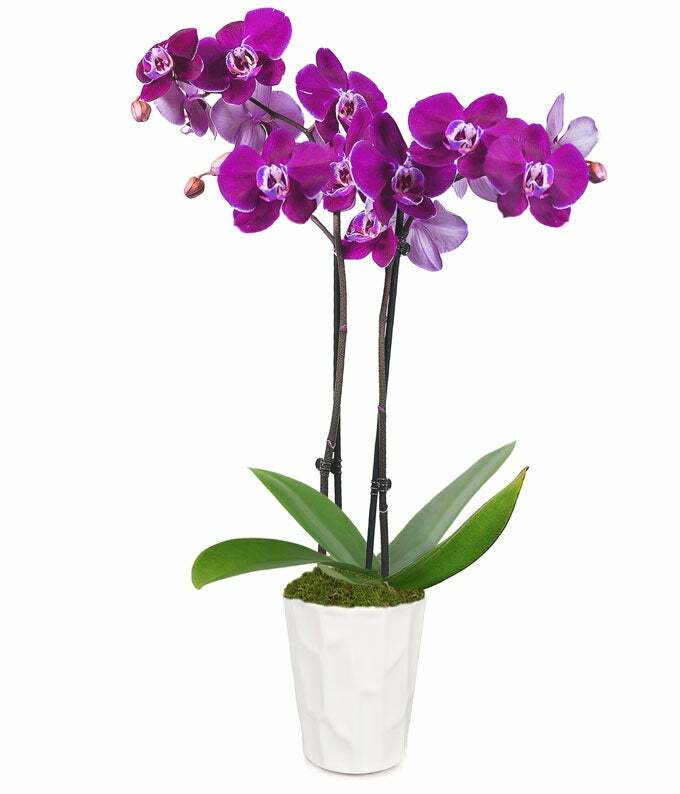 The Posh Purple Orchid is guaranteed to arrive fresh to you recipient's doorstep! Simply water once a week with two ice cubes (or 3 tablespoons of water) and allow for indirect sunlight in any room. Sorry, there are no related products for this item. Please go back to Plants to view more products. Our collection of direct ship plants are available for next day gift delivery. Place gift orders online prior to 12PM EST for guaranteed overnight delivery or select a future delivery date. For same day delivery please click here for Same Day Flower Delivery. Delivery is available Tuesday through Saturday every week excluding some major holidays.